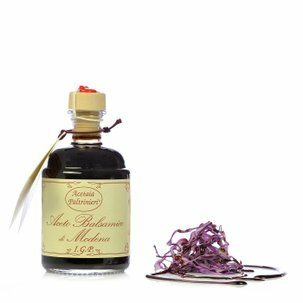 Balsamic vinegar from Modena is one of the most loved Italian condiments, and is equally popular overseas. Eataly cannot resist the delicate and unique flavour of this product, and therefore decided to select this excellent version from Acetaia Paltrinieri for you. In fact, this vinegar is made to standard Production Specifications and only in the provinces of Modena and Reggio Emilia, with the inclusion of at least 20% grape must and 10% wine vinegar. The product is then aged in hardwood casks, so that it can express the essence of true Modena artisanal tradition as fully as possible. 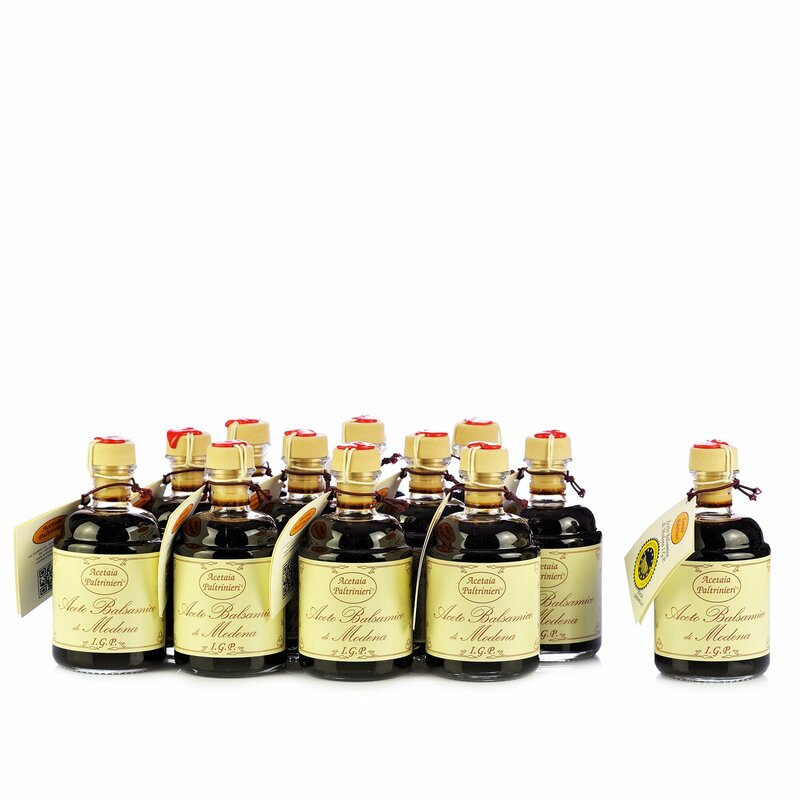 Ingredients Balsamic Vinegar from Modena IGP 250ml:Trebbiano/Lambrusco grape must 70%, wine vinegar 30%. Contains natural sulphites. The passion ofAcetaia Paltrinieri in producing its products comes from a long history that started in 1800, when the beautiful villa was constructed and where the company is still based today. The tradition ofBalsamic Vinegar from Modena IGP has evolved and developed over the centuries, with the original recipe respected and safeguarded. Today the company still produces its own must, the basic ingredient of this vinegar producer, trusting in the Trebbiano and Lambrusco vineyards that grow nearby and scrupulously following the Production Specifications.